Click on image for larger view, and click browser return button to return here. 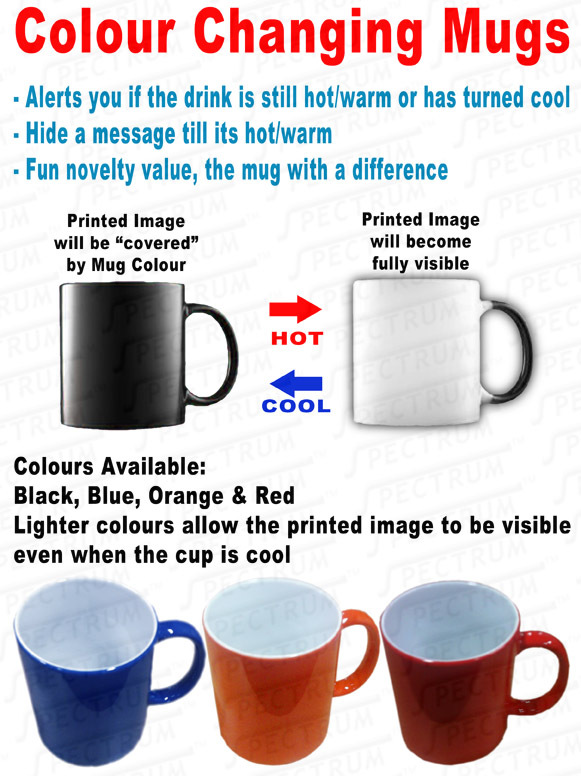 Variation of the above mug is the heat change mug which changes colour when warm. 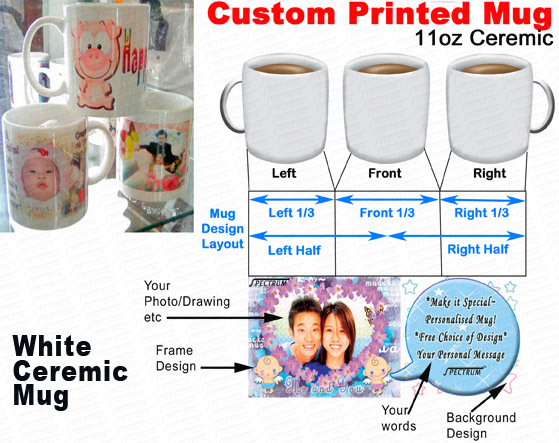 It can also be printed on, in the same way as the standard mug.